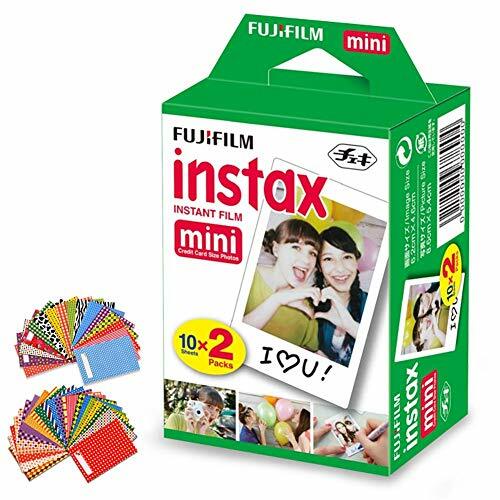 MINI INSTANT FILM IS desgined for use in low light with an ISO 800 speed. 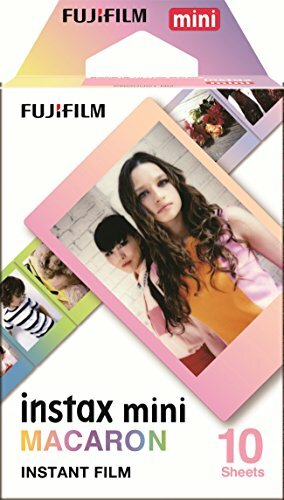 Just point, snap the shutter, and watch the film slide out and self develop. 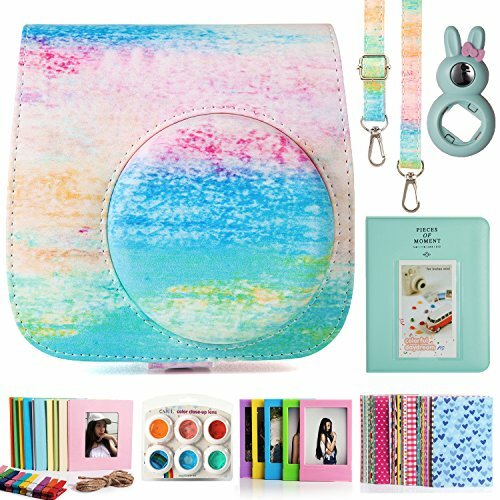 Bundle Includes Ritz Gear Picture frame stickers and Square frames - decorate, customize and display your photos in a unique and fun way! 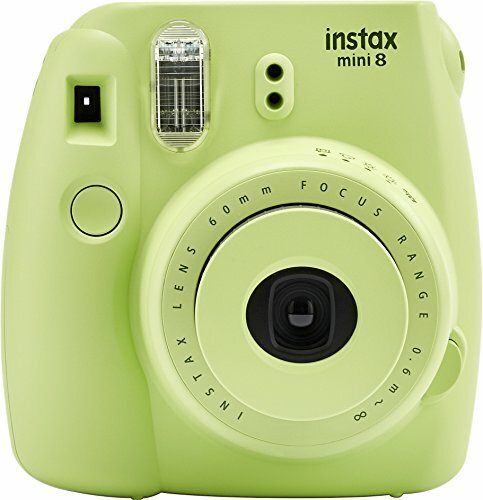 QUALITY Hi-Speed ISO 800 - With superb grain quality, Instax Mini Film ensure vibrant color and natural skin tones. 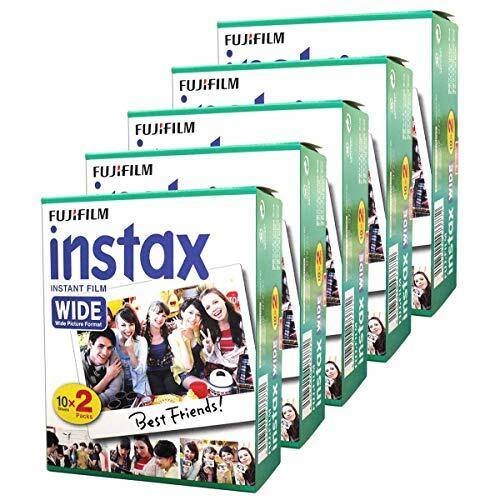 ITS YOUR MOMENT This Films are Credit-Card Size - 5.4 x 8.6 cm (film size) - The unique credit-card sized film is easy to carry in your purse or wallet and has that classic white frame that you can leave blank or personalize with fun messages. 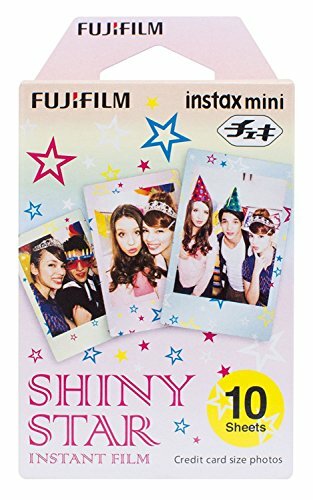 BONUS INCLUDED A Quality Photo Microfiber cloth. 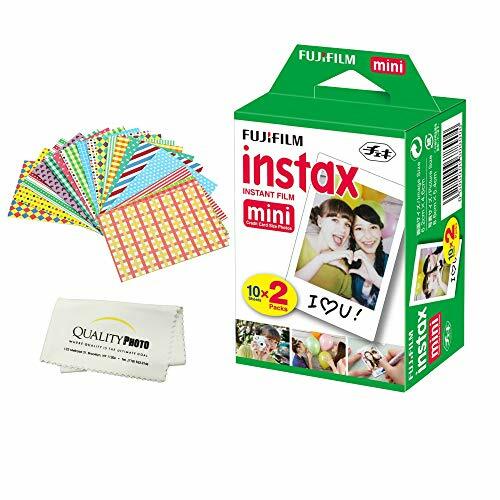 made out of high quality thick ultra gentle, Extremely fine, Fiber which will give you a safe fast easy clean for your mini 8 lens and or any LCD screens or any of your delegates. 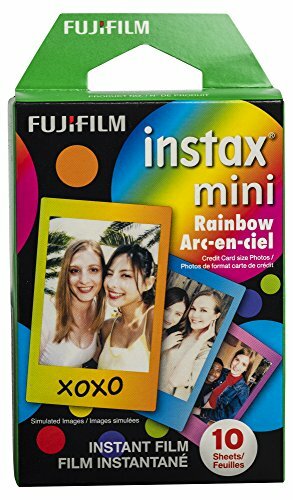 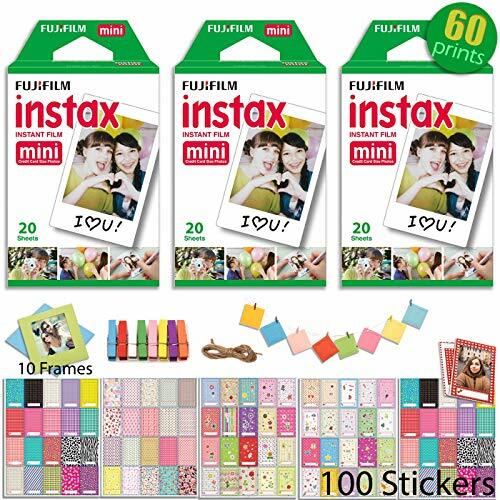 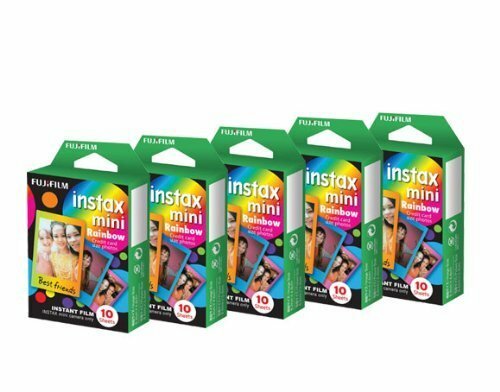 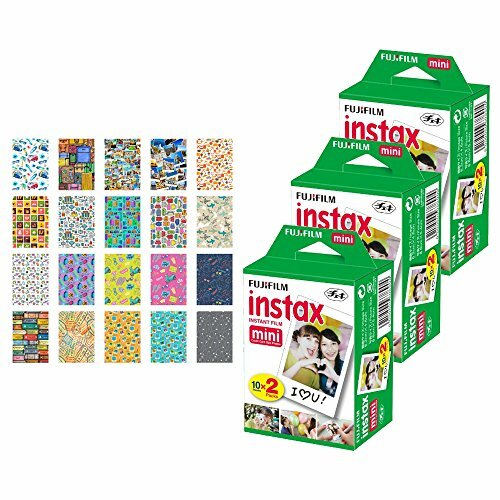 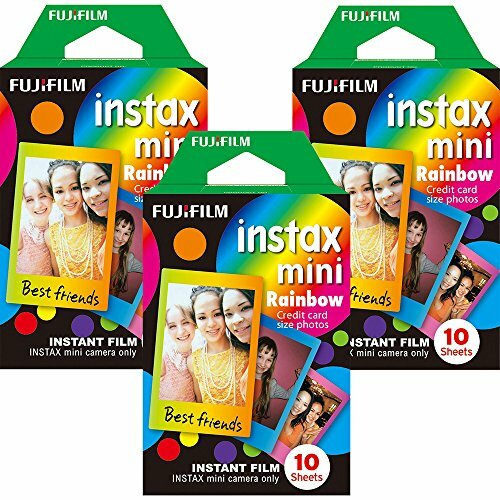 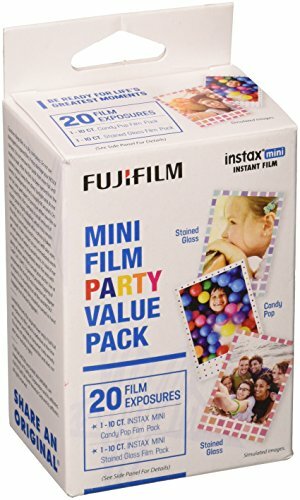 FUJIFILM INSTAX MINI INSTANT FILM 20 SHEETS - Includes one pack FujiFilm Instax Mini Instant Film for a total of 20 Photo sheets. 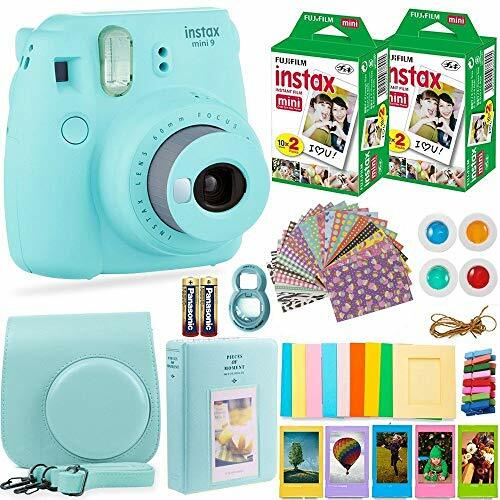 FUJIFILM INSTAX MINI CAMERA COMPATIBLE - FujiFilm Instax Mini Instant Film is compatible with all FujiFilm Instax Mini Cameras including FujiFilm Instax Mini 9, Mini 8, Mini 7s, Mini 50, Mini 25, Mini 90, Fuji SP-1, SP-2 Printer. 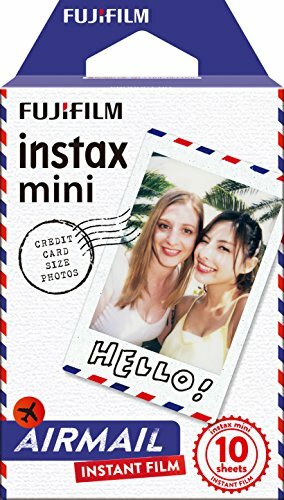 HI-SPEED ISO 800 - FujiFilm Mini Film are made of high quality material to ensure a vivid natural color for a gorgeous Mini Photo. 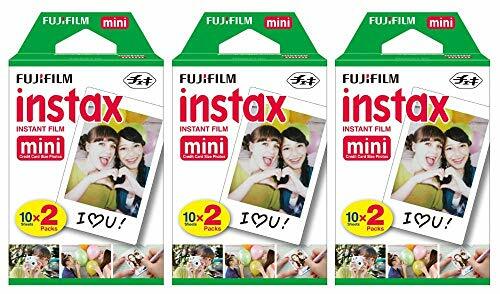 MINI INSTANT FILM SIZE - Measurement of the photo is 2.1 x 3.4 inches, it's very compact and practical to carry in your wallet or place around the house and office. 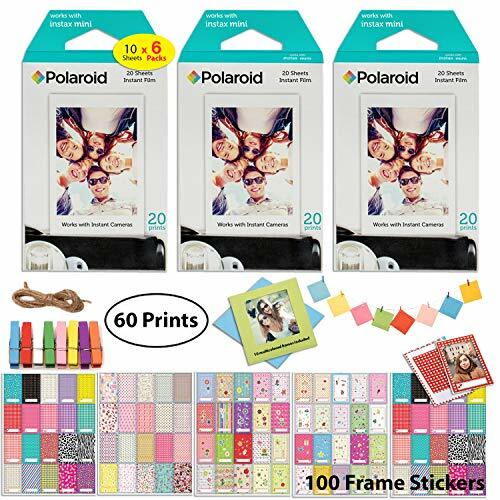 MINI PHOTO STICKER FRAMES - Included are 60 assorted colorful Stick Frames designed to be placed around Mini Instant Photo for a very cool and stylish look! 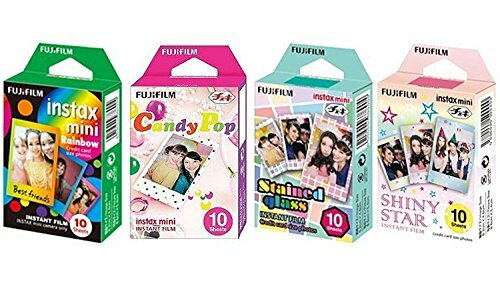 Each image has a different Macaron colored frame. 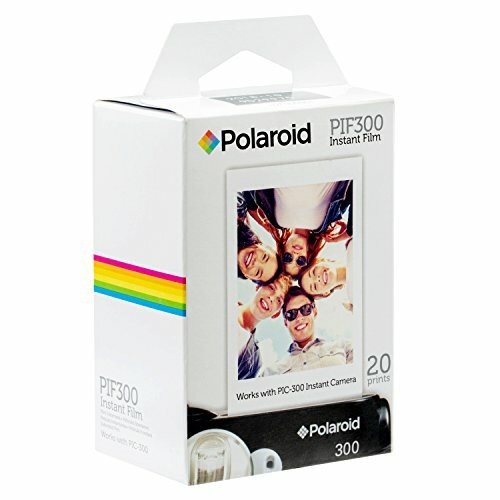 Compatible with any Instax Mini style camera and mobile Share Smartphone Printer. 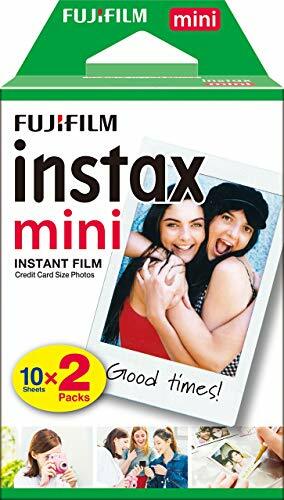 QUALITY This Fujifilm INSTAX mini 8 instant films are Hi-Speed ISO 800 - With superb grain quality, Instax Mini Film ensure vibrant color and natural skin tones. 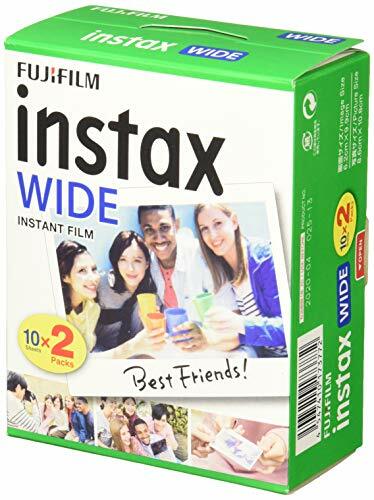 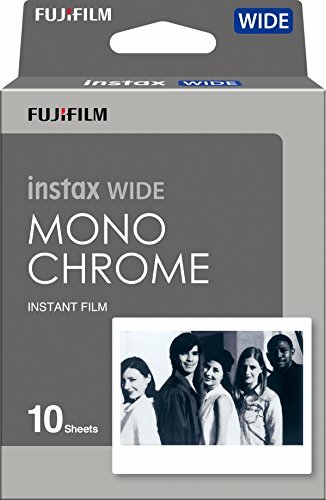 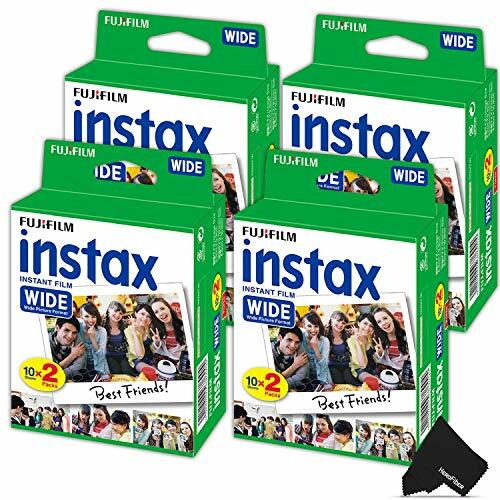 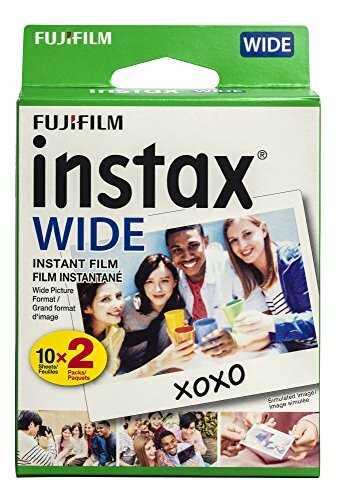 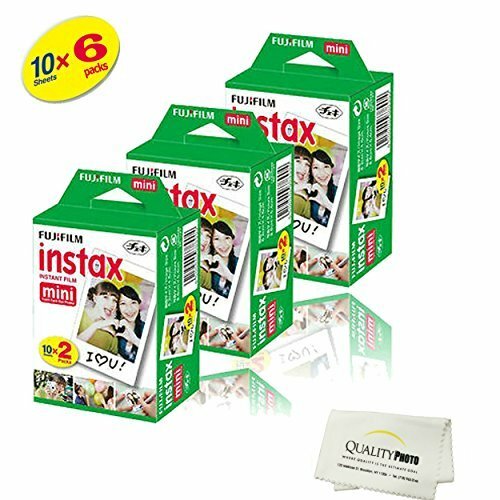 FUJIFILM INSTAX WIDE INSTANT FILM 80 SHEETS - Includes 4 Pack (4 x 20) of FujiFilm Instax Wide Instant Film for a total of 80 Photo sheets. 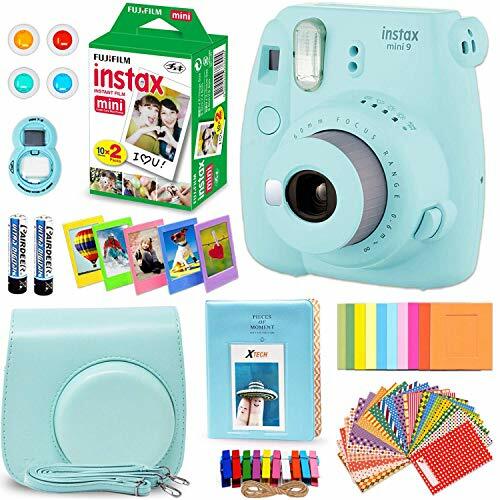 FUJIFILM INSTAX WIDE CAMERA COMPATIBLE - FujiFilm Instax Wide Instant Film is compatible with all FujiFilm Instax Wide Cameras including FujiFilm Instax Wide 300, Instax Wide 210 and Instax Wide 200. 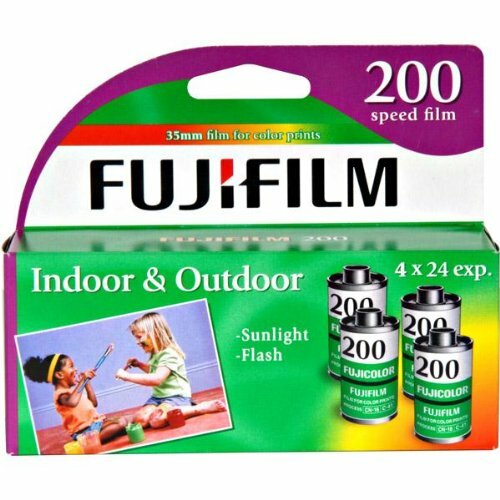 HI-SPEED ISO 800 - FujiFilm Wide Film are made of high quality material to ensure a vivid natural color for a gorgeous Wide Photo. 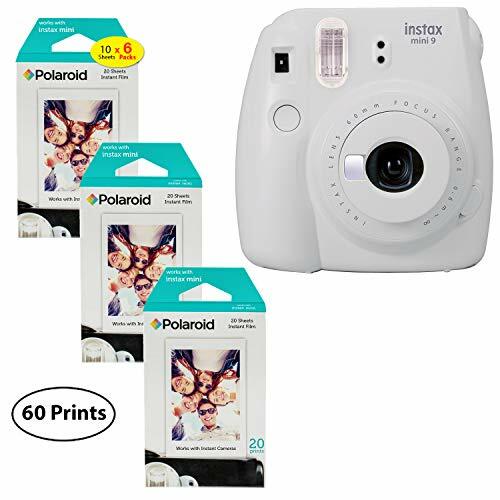 INSTAX WIDE FILM SIZE - Measurement of the photo is 3.4 x 4.25" inches (86 x 108 mm), it's very compact and practical to carry in your wallet or place around the house and office. 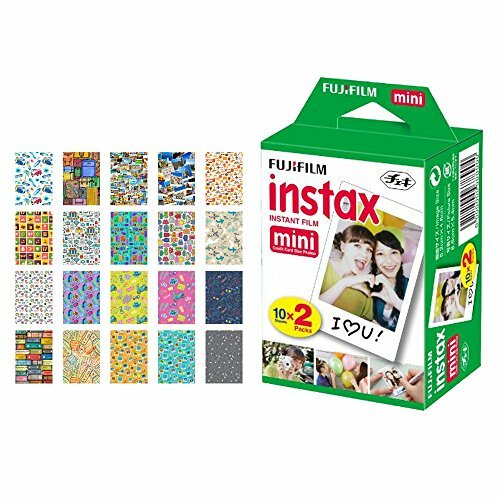 HEROFIBER CLOTH - The FujiFilm Instax Wide Film include a useful HerFiber ultra gentle cloth designed to clean your camera lens and other sensitive electronics and accessories. 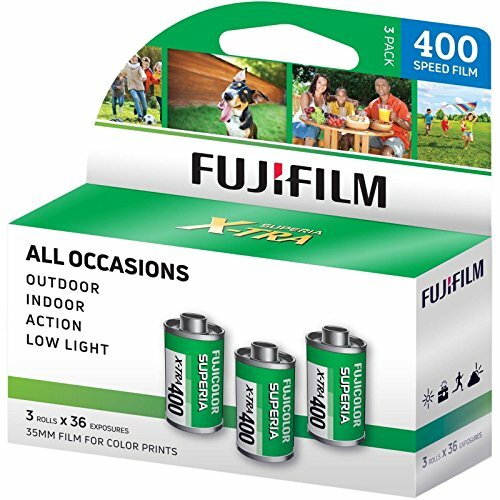 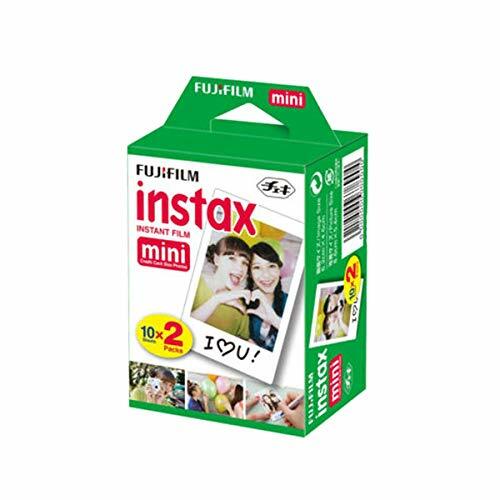 EASY TO LOAD - Film cartridge is designed and labeled for easy loading and filled with film for 10 credit-card sized instant prints, easily load them into your Instax or Polaroid PIC 300 camera. 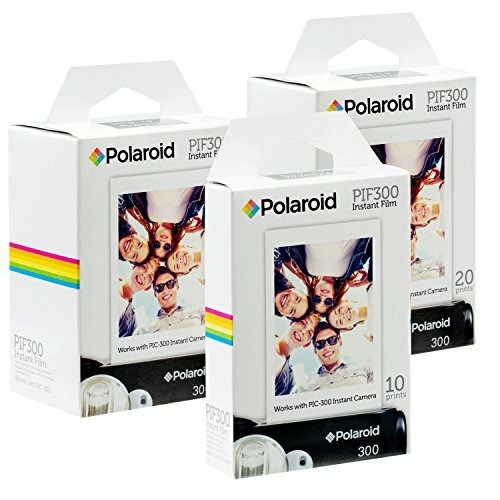 Image size or printed area: 62 X 46mm. 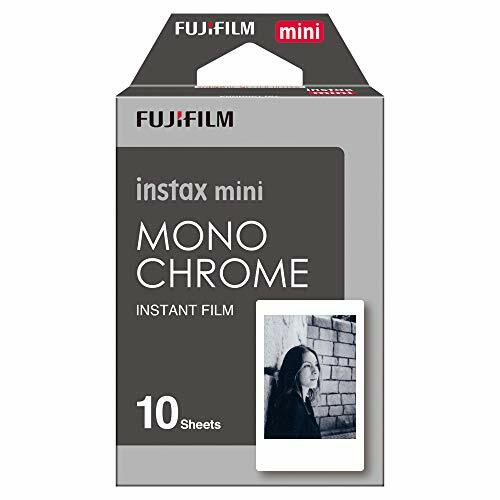 /2.5 X 1.8 inches. 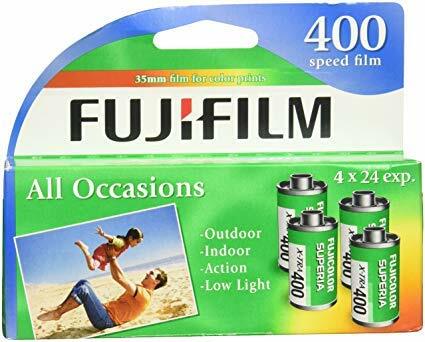 Credit-card size - 5.4 cm x 8.6 cm (film size) - The unique credit-card sized film is easy to carry in your purse or wallet and has different color borders to add style to your images. 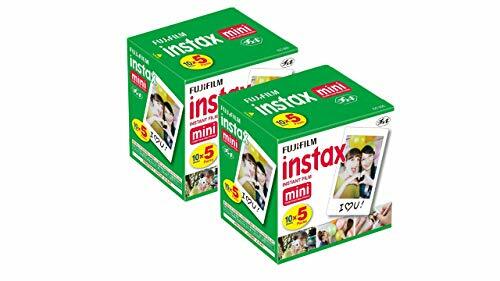 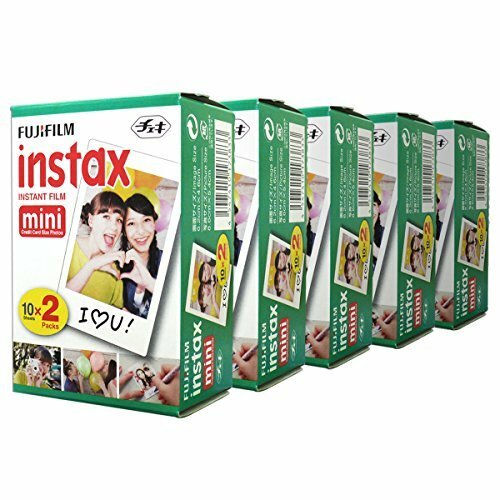 FUJIFILM INSTAX MINI INSTANT FILM 40 SHEETS - Includes 2 Packs (2 x 20) of FujiFilm Instax Mini Instant Film for a total of 40 Photo sheets. 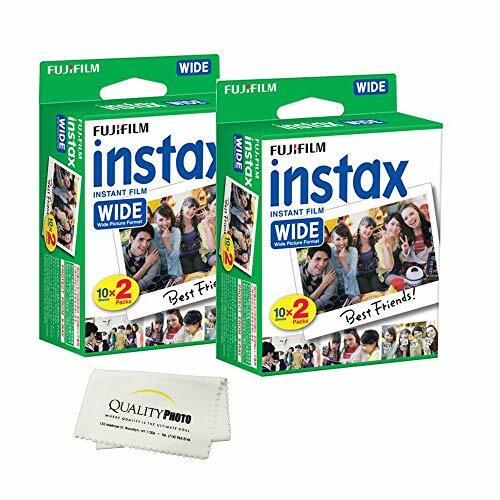 ITS YOUR MOMENT This Films are - 3.4 x 4.25" / 86 x 108 mm (film size) - The unique sized film is easy to carry in your purse or wallet and has that classic white frame that you can leave blank or personalize with fun messages. 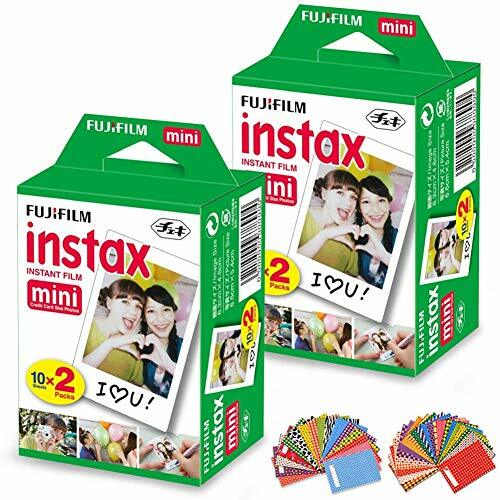 Compatible with any INSTAX mini camera and instax SHARE Smartphone Printer. 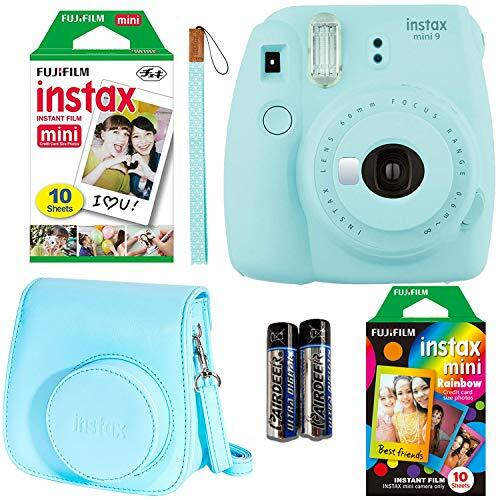 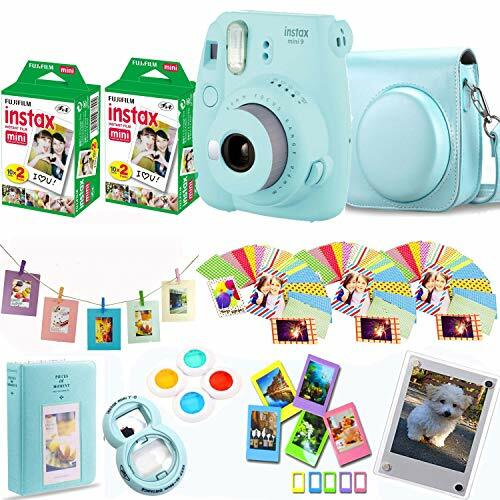 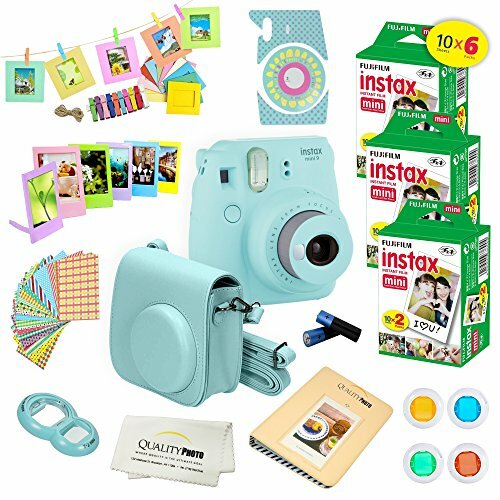 FUJIFILM INSTAX MINI 9 INSTANT CAMERA - This Instant Camera in Ice BLUE Color features a Fujinon 60mm f/12.7 Lens, Optical 0.37x Real Image Viewfinder, Auto Exposure with Manual Switching and a Built-In Flash. 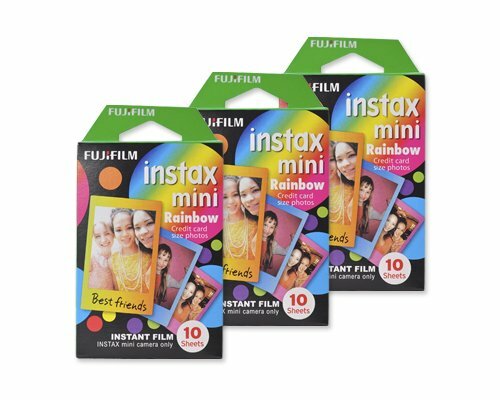 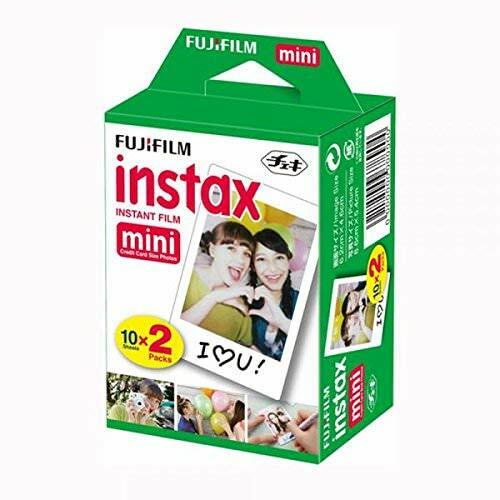 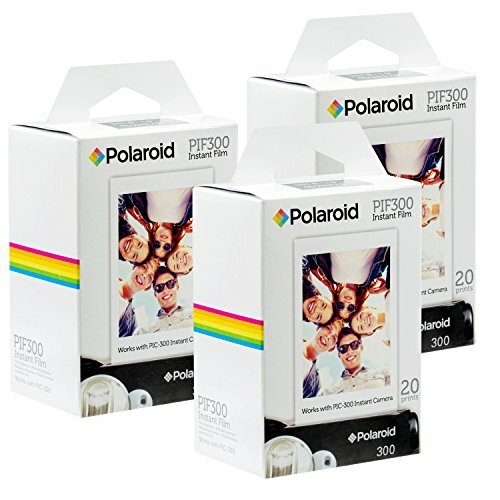 INSTAX MINI FILM 20 Sheets - These Instant Film are designed for shooting photos with a press of a button and instantly printing it out with the Fujifilm Mini series, an awesome way to capture the moment. 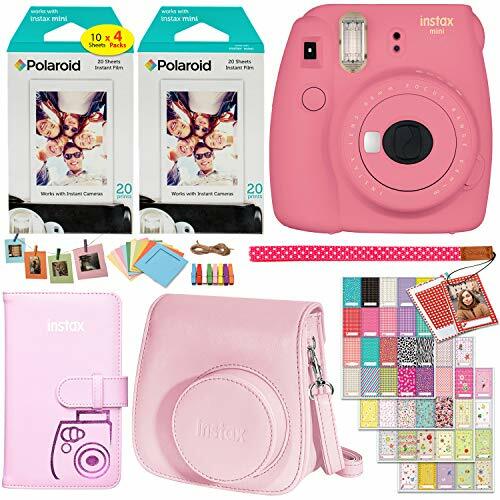 CUSTOM FITTED CASE - designed to fit the Mini 9 Camera in a very stylish fashion, in addition the case includes a detachable strap for extra convenience + a 64 Pocket Photo Album designed for holding Instax Mini Photos, the Album Size: Approximate size is 114 x 140 x 28mm. 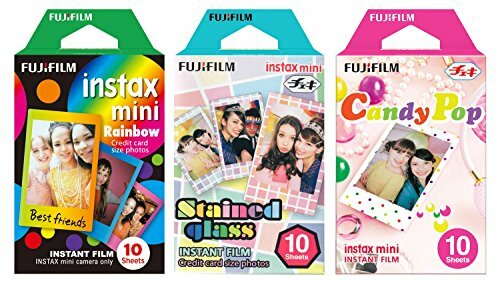 COLORFUL MINI 9/8 FILTERS - Accessories Bundle includes 4 Colorful filters (Blue, Green, Red and Orange) for capturing pictures in a unique colorful style + an attachment selfie mirror designed for capturing Selfie photos + HeroFiber Ultra gentle cleaning cloth designed for cleaning electronics and accessories.